Although it appeared that the VSPs gathered in Jackson Hole could only worry about non-existent inflation, I detected a defensiveness too. 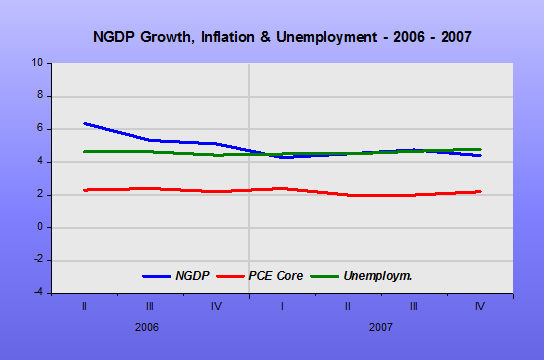 There were several considerations of alternative policies, in particular a higher, or more flexible, inflation target. This makes little sense, a different definition of stable would not be, well, stable. Mmm. A flexible target doesn’t automatically mean higher target. But anyway, isn’t a flexible target meant to be, well, flexible? The confidence that was so well established by the unbreakable CHF 1.20 floor through which the Euro would not be allowed to drop versus the Swiss Franc. Yeah, right. How did that work out? Greater fluctuations than the 20% intraday rise in the Swiss Franc on 15th January 2015? Greater fluctuations than the negative RGDP in 1Q15 and the measly 2Q15 outturn compounded by a negative GDP Deflator of 1.2% and now plunging consumer confidence. Bravo! And things look set to get worse. But printing money was working very well. Monetary Policy 101 says that Policy is implemented by control of base money, not by moving around target interest rates. And the SNB was doing a great job satiating foreign demand for Francs first by printing and then merely by threatening to print. 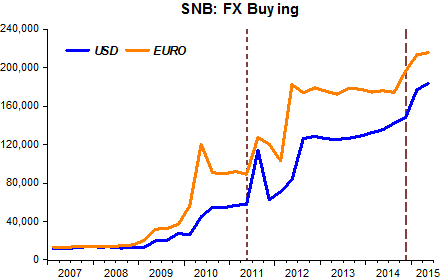 And now the SNB is back printing to buy FX to hold down the Swiss Franc, just like it did before the Euro floor, as it has no clear target or “anchor”. 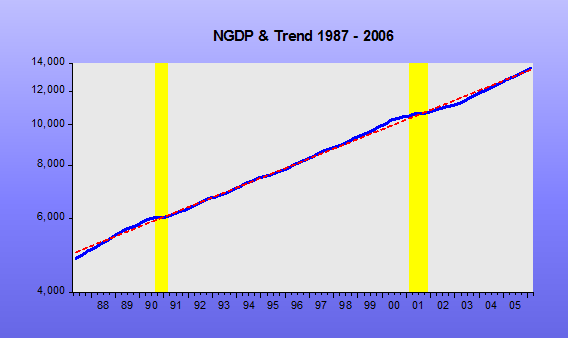 One of the supposed reasons for ending the floor was the growing balance sheet of the SNB. It had stopped growing due to the hard won confidence in the floor. Only for it to surge again as the breaking of the floor caused currency chaos and the SNB had to intervene heavily to ensure some form of stability. Maybe this intervention was a little understandable at first. But it is still growing the balance sheet according to the latest figures for the Feb-April period. The SNB is still actively intervening to stop the too tight monetary policy causing the Franc to appreciate vs the Euro. The prospective tightening by the Fed may help ease pressure vs the Dollar as both appreciate into a recession together. A silver lining of sorts, I suppose. The SNB’s credibility has been destroyed by Jordan and his speech shows remarkable blindness from the man at the top who flip-flopped in panic when the ECB adopted a far better monetary policy. Worse than his own loss of credibility is the damage his policy is now causing to the Swiss economy. Perhaps one of the world’s richest per capita economies can take the damage in it’s stride, but we shall see. The financial media did a reasonable job in covering the Kansas City Fed’s recent Jackson Hole bias-confirmation fest, duly reporting that the Fed may raise rates, that everybody talked ceaselessly about raising rates, and of the extraordinary reasoning brought to bear to tease out some sort of reason to hike interest rates. There you have it—not single panel devoted to, say, the strange esoteric topic of macroeconomic growth. The word “inflation” is literally in every panel title. 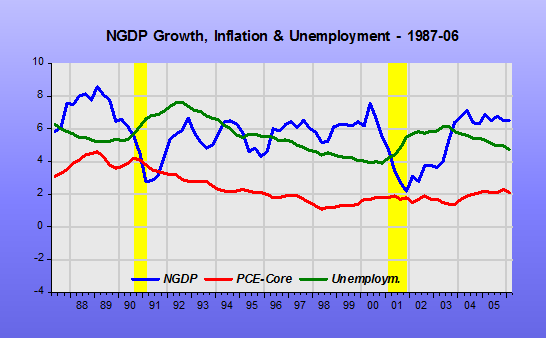 Now, with aggregate demand feeble and inflation dead in the United States, deader in Europe, and long dead in Japan, you might think “inflation dynamics” would be a passé topic. Evidently not when central bankers convene. 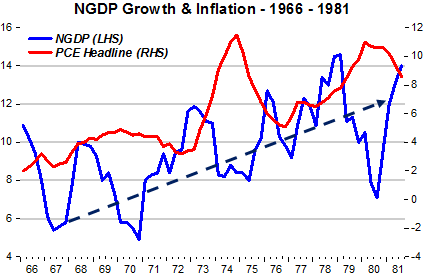 Indeed, “inflation dynamics” is of over-arching, all-consuming and riveting interest. There is nothing else to talk about—at least at Jackson Hole. Egads, what does that tell you? The Fed entrapment of itself began with ex-Chairman Ben Bernanke, who slated the tapering down of quantitative easing before leaving office. Bernanke did not reduce QE to, say, “a low and variable level,” that would leave open the door for increasing QE as needed, as a mere policy adjustment. 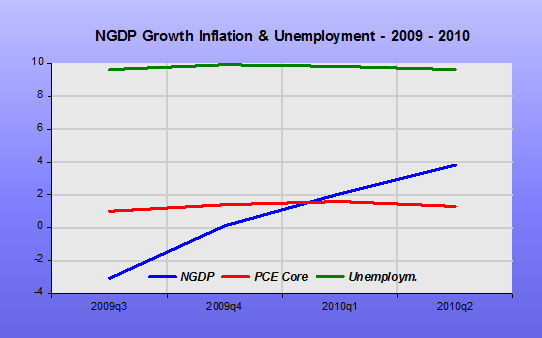 By closing off QE as an option in 2014, Bernanke left his successor, Janet Yellen, without QE as tool. To use QE again, Yellen would have to engage in a “flip-flop” or policy reversal, considered a cardinal sin in Washington, D.C. talking-head circles. Worse, Yellen faces a vociferous gaggle of tight-money ideologues and extremists, eager to pounce on any Fed policy they can denounce as “activist,” “hyperinflationary” or ineffective. Not content with having closed off one door, Yellen grabbed the paint brush herself and kept backstepping and improving the floor around her, reminding everyone everywhere that the Fed would likely raise rates in 2015. 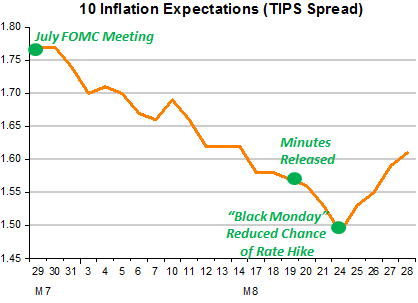 So now we are bearing down on 2016, and the Fed still has not raised rates, leading to rising, acute and evidently hysterical discomfort among the prominent herds of “interest-rate crackheads.” For months, the only topic in the FOMC room, and tight-money circles, has been hiking interest rates. 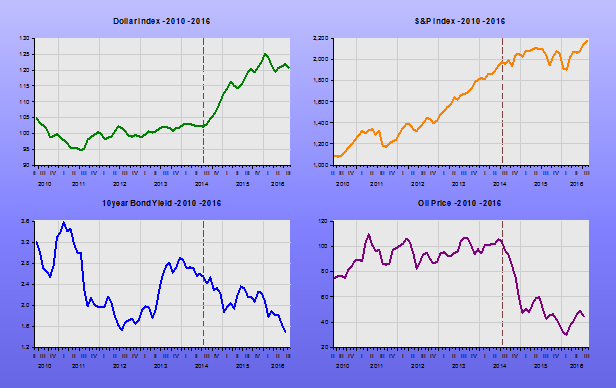 Global trade H1 was down year-over-year. Singapore is in a deflationary recession, Hong Kong’s stock market off YOY. 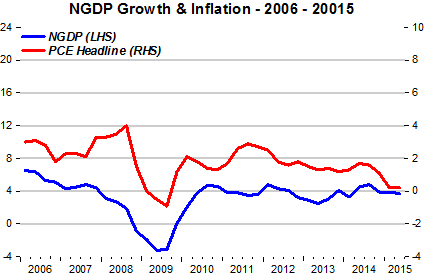 China is wobbly, and Europe in deflation. 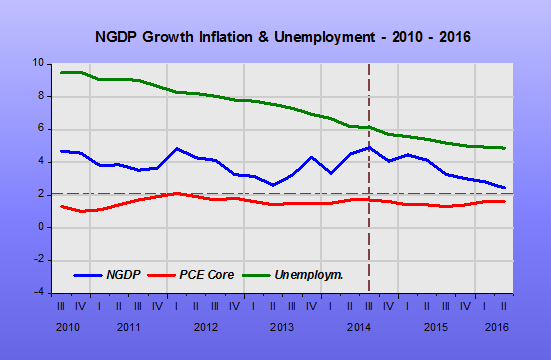 The Atlanta Fed says Q3 GDP in the U.S. is penciling out flat. Wages in the United States are dead, and inflation below the Fed’s IT target—and the market expects inflation in the next five years to run at less than 1% on the PCE, or at about one-half of the Fed’s putative “average” target. 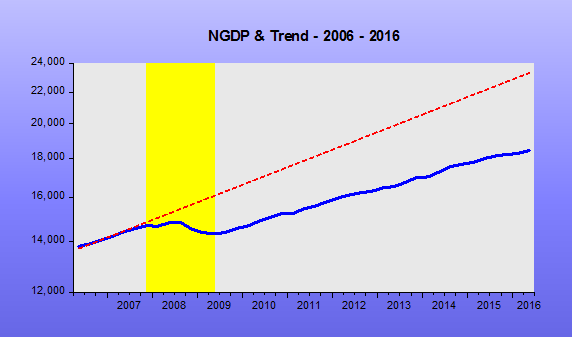 Worst of all, the U.S. RGDP is perhaps 10% below where it should or could be, had mediocre economic growth rates been obtained since 2008. I know of no industry straining to meet demand—indeed, most industry denizens still speak of weak demand, and certainly aggregate demand is weak. But the Fed is trapped. Global central bankers and the other usual tight-money fanatics are now convening at the Fed’ annual Jackson Hole confab, to gird each other up for even tighter money ahead. Jackson Hole is not a conclave of venture capitalists, real estate developers, business operators or even labor groups and truckdrivers or dockworkers. 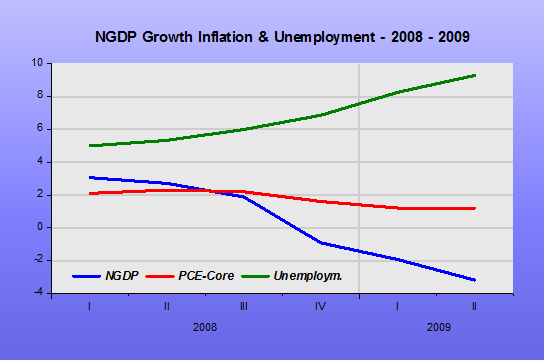 People in the real economy are not invited to Jackson Hole. At one time, the economics profession embraced “independent” central banks as a good idea. Is anyone so sure anymore? The Federal Reserve’s No. 2 official said Friday the central bank hasn’t settled on whether to raise interest rates next month, and the option remains on the table. “I think it’s early to tell” what will happen at the Fed meeting, Federal Reserve Vice Chairman Stanley Fischer told CNBC, citing the market turbulence of the past weeks. But recent events—worries over China’s growth outlook, its currency devaluation and volatile global markets—suggest Fed officials need to step back and mull incoming data before deciding what action to take, he said. “The change in circumstances which began with the Chinese devaluation are still relatively new, and we are still watching how it unfolds. So I wouldn’t want to go ahead and decide right now what the case is, compelling or less compelling” for rate rises. It seems markets have concluded that the “case is less compelling”! Get me out of my misery: just “pull the trigger”! JACKSON HOLE, Wyo.—After months of forewarning by Federal Reserve officials that they are preparing to raise short-term interest rates, some international officials attending the Fed’s annual retreat here this week have a message: Get on with it already. “If you delay something that you were planning to do, then you leave the impression that your compass is different than what you led markets to believe,” Jacob Frenkel, chairman of J.P. Morgan Chase International and former head of the Bank of Israel, said in an interview Thursday. Market drama is increased by delay, he added.